Figure 3.2 Modes of allosteric or bitopic ligand effects. (a) An allosteric modulator, by binding to a topographically distinct site, can modulate the affinity and/or signaling efficacy of an orthosteric ligand. In addition, the modulator may be able to engender receptor agonism/inverse agonism in its own right. It is also possible for a given allosteric modulator to express more than one of these properties. (b) Possible modes of engagement of a receptor's orthosteric and allosteric sites by a bitopic ligand, either in the absence or presence of an orthosteric ligand. agonist, pilocarpine, at the M2 mAChR [23, 24]. Different types of cooperativ-ity between an allosteric modulator and orthosteric ligands at a given GPCR is referred to as "probe dependence," highlighting that the type of allosteric modulation can change depending on the nature of the orthosteric ligand that is used as a reference probe of receptor binding or function; alcuronium is an excellent example of the probe-dependent nature of allosteric interactions. petitive antagonism of function despite an increase in agonist potency  . 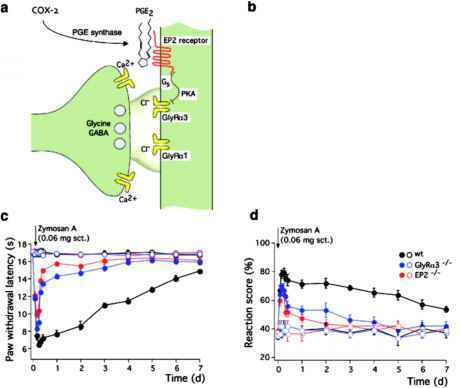 A similar observation has been made at M2 muscarinic receptors for the interaction between the allosteric modulator, naphmethonium and the orthosteric agonist, pilocarpine  . There are two important considerations that arise from observations such as these. First, this type of noncompetitive antagonism of function is similar to what has previously been referred to as "use-dependent blockade," in that the antagonist actually works better in the presence of increasing amounts of agonist tone; because the modulator increases the affinity of the agonist, the agonist will also increase the affinity of the modulator, which would then bind with this higher affinity to abolish the signaling of the agonist. Use-dependent antagonism of GPCRs is simply not achievable in an orthosteric setting. The second important consideration is that, depending on the assay format (e.g., binding versus function), a different result will be obtained and thus, there is a risk of misinterpreting the pharmacology of the modulator if a range of assays is not utilized. It should be noted that none of the assays are to be considered "incorrect" in this regard; rather, they each provide a window into the conformational states that the allosteric modulator promotes. Currently, it remains to be determined whether a single ligand phenotype (modulator only) or a combination of both modulator and agonist properties is the optimal approach to treating different diseases with GPCR allosteric ligands. Most likely, different therapies will benefit from one phenotype relative to another. However, an alternative means of exploiting the agonist/ modulator paradigm is via the generation of "bitopic ligands," that is, hybrid molecules composed of both an orthosteric moiety and an allosteric moiety (Fig. 3.2b). One such example is the muscarinic receptor agonist, McN-A-343, which displays high efficacy at the Mi and M4 subtypes of muscarinic receptor, but low efficacy and functional selectivity at the M2 muscarinic subtype; we have recently discovered that the latter is due to the fact that McN-A-343 is composed of an orthosteric agonist, trimethylammonium, coupled to a negative allosteric modulator of agonist efficacy, 3-chlorophenyl carbamate . Presumably, the higher efficacy of the McN-A-343 at other muscarinic receptor subtypes reflects differences in the allosteric binding pockets of those subtypes. This finding raises the interesting question as to whether other functionally selective GPCR agonists also represent hitherto unappreciated bitopic orthosteric/allosteric ligands. A logical extension of this approach is to actively engineer such bitopic ligands, as has been successfully demonstrated recently for novel hybrid molecules that selectively target the M2 muscarinic receptor ; an advantage of this approach is the ability to take a nonselective orthosteric agonist and engender subtype and functional selectivity in its actions by attaching an appropriately selective allosteric moiety. Irrespective of phenotype, the most obvious advantage of allosteric ligands is the potential for greater receptor subtype selectivity, as allosteric sites need not have evolved to accommodate the endogenous ligand . An additional advantage of allosteric modulators that have no agonistic activity in the absence of orthosteric ligand is the ability to retain the spatial and temporal aspects of normal (physiological) receptor function; the modulator would only exert an effect where and when the endogenous neurotransmitter or hormone is present. Furthermore, modulators with limited cooperativity will have an in-built "ceiling" level to their effect, suggesting that they may be potentially safer than orthosteric ligands if administered in very large doses . Perhaps the most important challenge in this field, however, currently remains the ability to detect and quantify the myriad of possible allosteric effects that can arise when two ligands simultaneously occupy a GPCR.